Upgrade the look of your Porsche 986 Boxster with the look of this 2008 GT3 style front bumper. This front bumper is made of extremely high quality and durable composite fiberglass. The front bumper fits in place of the stock unit to look like a 997 Porsche GT3. The bumper comes unpainted. It may require modification to your factory radiator ducts to fit. Bumper includes mesh. 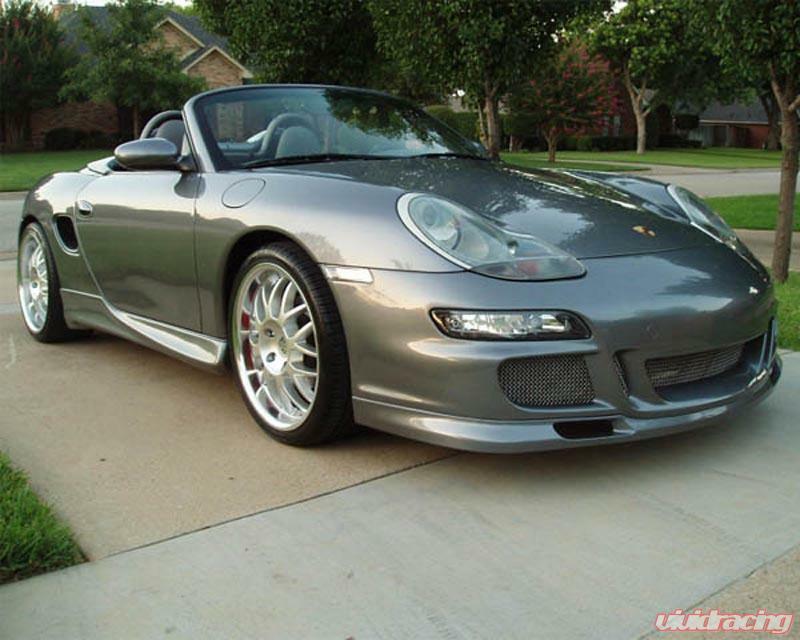 You will need to purchase OEM Porsche 997 front marker lights. Item ships oversized truck freight only.